Pilates Place Blog: Pilates and yoga … what’s the difference? Pilates and yoga … what’s the difference? With so many exercise classes to choose from … Reformer Pilates, Bikram yoga, mat Pilates, Yogalates … any beginner is likely to be a bit flummoxed! The truth is there are important differences between yoga and Pilates. Let’s start with the fact that Pilates was invented in the 20th century, while yoga has its roots in ancient Hindu religious practices. 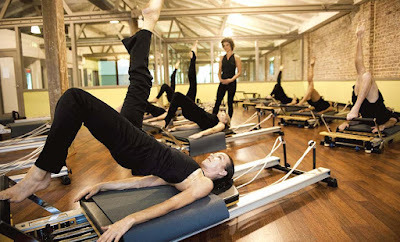 Interestingly, Pilates takes inspiration from yoga and borrows other ideas from martial arts and gymnastics. As for the classes themselves, all Pilates classes will focus on strengthening the “core” muscles in the abdomen, lower back, hips, and bottom. But when Pilates is done right it gets the whole body involved. Mat Pilates classes are most popular because no special equipment is needed and it can be taught anywhere, from leisure centres to village halls. 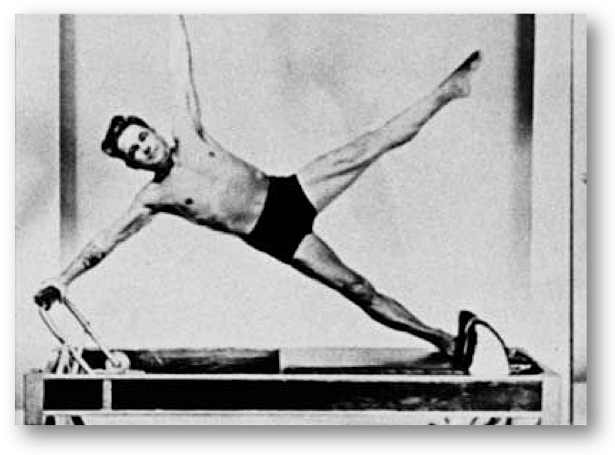 However, Pilates exercises were first developed to be done on large pieces of equipment in a dedicated Pilates studio. The machines (such as the “Reformer”) add resistance to make the exercises more effective. All Pilates exercises should be performed slowly and precisely to get the most benefit from each repetition. Although yoga is ancient it’s not old! Yoga is continually evolving and many popular forms are recent innovations, such as Bikram or “hot” yoga (practiced in 40 °C heat!) which was developed in the 1960s. Most yoga classes provide a total body workout as well as paying attention to breathing and mental focus. Some forms of yoga, like restorative yoga, are more focused on relaxation and improving flexibility. Ultimately different people are looking for different things in an exercise class. If you are interested in combining exercise with relaxation, meditation, and spirituality then yoga is definitely worth exploring. Pilates mat classes are great for beginners, but if you are recovering from an injury or have back pain, studio Pilates will be more tailored to your needs. Both Pilates and yoga will make you stronger and more flexible, but only if you commit to practicing them regularly. Of course you don’t have to choose one or the other, and if you have the opportunity to try both yoga and Pilates, they can complement each other very well. If you’re intrigued by studio Pilates, why not take advantage of our free trial offer? Call 01608 666 999 or email pilatesplace@btconnect.com to book yours.